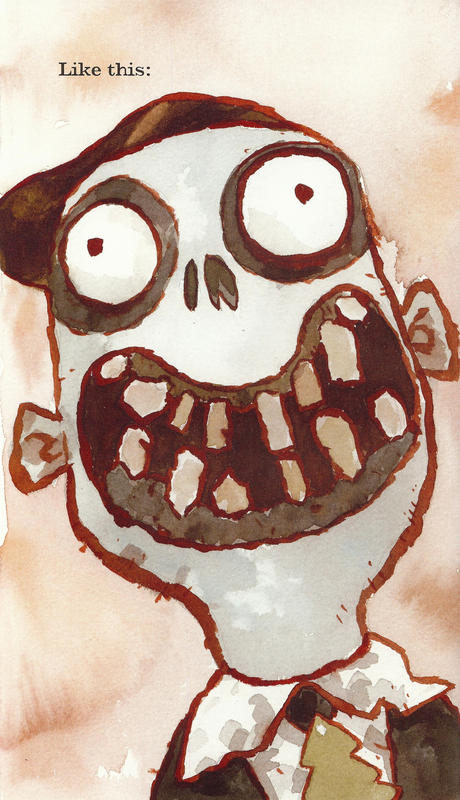 When I write about a book, I like to spend time learning as much as I can about the author and illustrator, their artistic methods and their literary inspirations. I’m always curious about the story behind the story. However, there are some books that are so iconic and familiar that it can be difficult to see their treasured images and verses afresh, to separate the story from our long-engrained impressions. It’s a little like that old optical illusion in which one either sees a young lady or an old woman — your brain usually interprets the picture one way and it can be difficult to grasp hold of the alternate image. 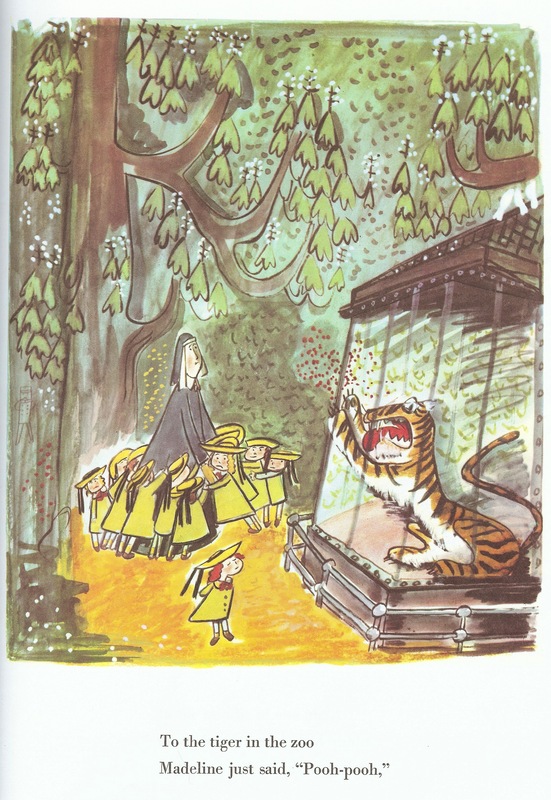 Such was my experience when researching “Madeline” and its author/illustrator Ludwig Bemelmans for my post about the ultimate little girl’s library. Despite evidence to the contrary, I was one of the many who assumed Madeline had no family. Indeed, many believe that “old house in Paris” was an orphanage. I also was under the impression that Madeline was French, as was her author — anyone who would attempt to rhyme “again” and “rain” simply couldn’t be American, could they? And I was certain that Miss Clavel was a nun. 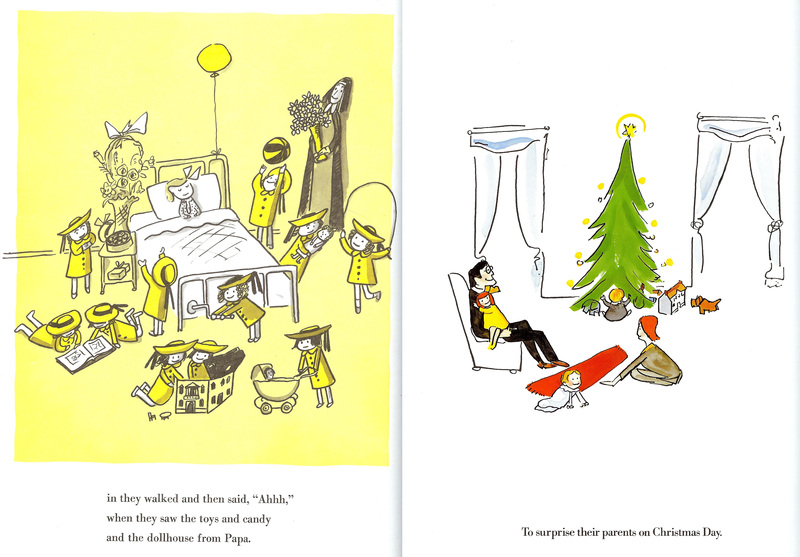 Of course, if you had been looking for it, you would have taken note of the dollhouse Madeline received from “Papa” during her hospital stay in the original book. In addition, Madeline flies home on a magic carpet in “Madeline’s Christmas” and is shown happily celebrating on her father’s lap with a mother and two younger siblings nearby. As for Miss Clavel, Marciano insists that her apparel is that of a nurse. However, Marciano was born eight years after the death of his grandfather, so even his assertions may be a little faulty at times. 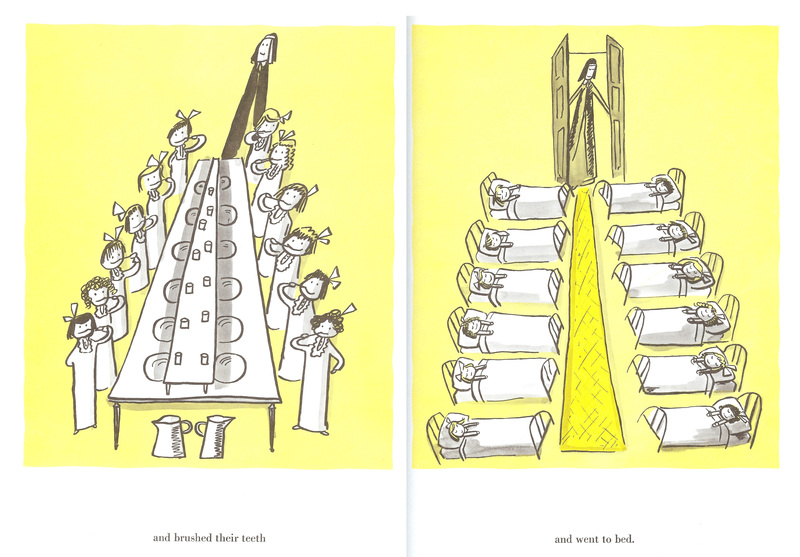 Most revealing of Madeline’s genesis is the acceptance speech Ludwig Bemelmans gave after being awarded the 1954 Caldecott Medal for “Madeline’s Rescue” (he had previously received a Caldecott Honor for “Madeline” in 1939). Bemelmans explains that he never had ambitions of writing a children’s book, that all he ever wanted to be was a painter. However, he said the methods necessary for becoming a successful artist did not appeal to him; he did not want to exhibit himself, he did not like “the kissing of hands,” and he did not want to see his work sold and taken away. So what brought about Madeline’s birth? Bemelmans traced the spark of creation to a mishap he experienced during a vacation by the sea in France. While bicycling home to his rented beach house with the catch of the day slung over his shoulder, Bemelmans was hit by the island’s only automobile. 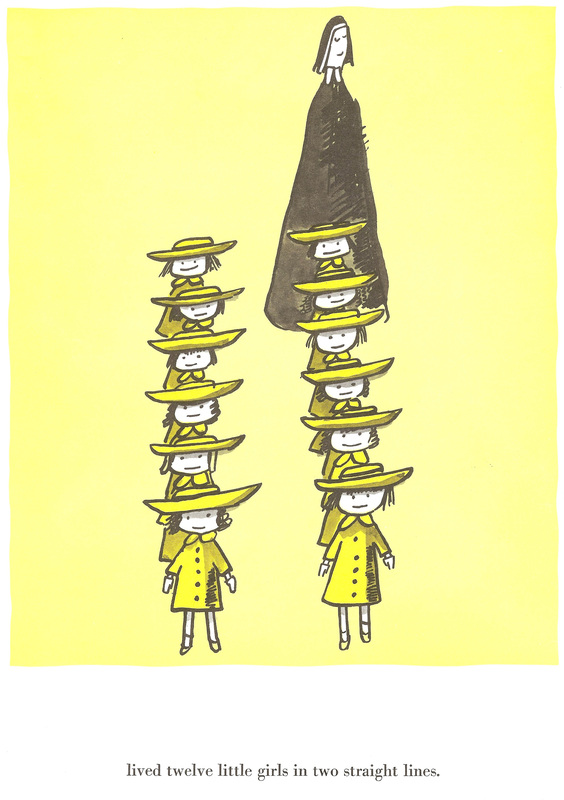 To flesh Madeline out more fully, Bemelmans drew inspiration from many of the women in his life. Her name is a more rhyme-friendly version of his wife’s Madeleine. 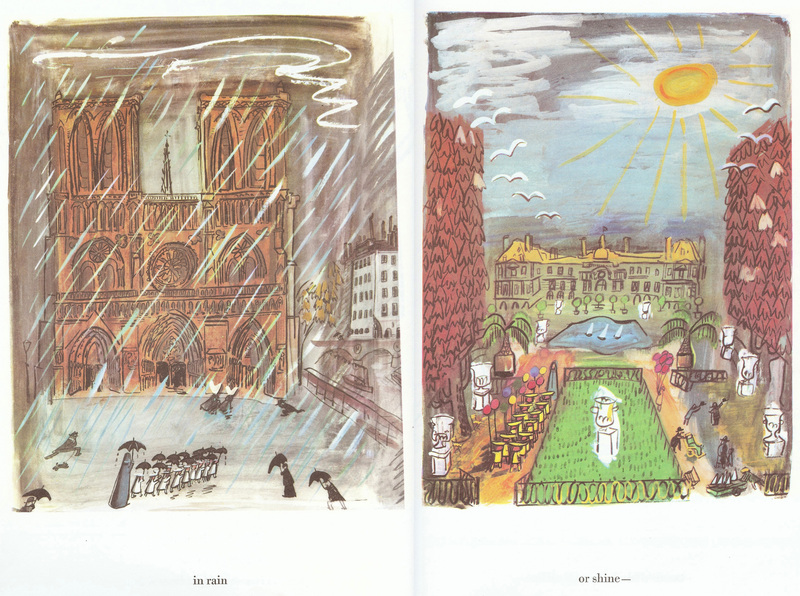 Her appearances matches sketches Bemelmans made of his daughter, Barbara, enjoying her first trip to Paris, including a visit to the zoo. The details of daily life in the old house in Paris are based on stories Bemelmans mother told him about her girlhood in a convent in Bavaria. “I visited this convent with her and saw the little beds in straight rows, and the long table with the washbasins at which the girls had brushed their teeth,” he said. That convent school was, of course, overlooked by nuns, which most likely shaped Miss Clavel. It’s no wonder Madeline has been so dear and familiar to three generations of children and adults. She is a masterful collage of very real and special people. Finally, I was fascinated to learn more about Bemelmans’ international upbringing, which, in turn, provides explanation for the author’s unusual rhymes. He was born in an area of Austria-Hungary that is now part of Italy where he spoke French exclusively until the age of six. (“It was fashionable in Europe to bring up children who spoke nothing but French,” Bemelmans explained) At that time, Bemelmans’ father left the family for their governess and Bemelmans’ mothered moved the children to Germany, where he picked up his second language. He spent the remainder of his youth in Germany and then Austria, learning the hotel business. In 1914, he immigrated to the United States to further his apprenticeship in the hospitality industry. He joined the United States Army in 1917 and became a U.S. citizen in 1918. Bemelmans’ former editor, May Massee, cites his 1953 memoir, “Father, Dear Father,” as one of the best sources of biographical information available on the author. Within its pages, Bemelmans has recorded the experiences and conversations of his trip to Europe with his daughter, Barbara. Barbara expresses somewhat exasperated curiousity about Bemelmans’ diverse cultural background and complex accent. For more captivating information about Ludwig Bemelmans, his writing process and the history of his books, read the entirety of his Caldecott Medal acceptance speech, as well as the whole of his editor’s reflections on the author. In addition, Forbes offers an interesting look at the Madeline dynasty, past, present and future. My dear friend is having her second child and HER FIRST GIRL!!! later this month. We showered her with baby bows and all things girly this past weekend, and I was tasked with putting together a bow-themed, children’s book trivia game for our party. Can you name that bow? 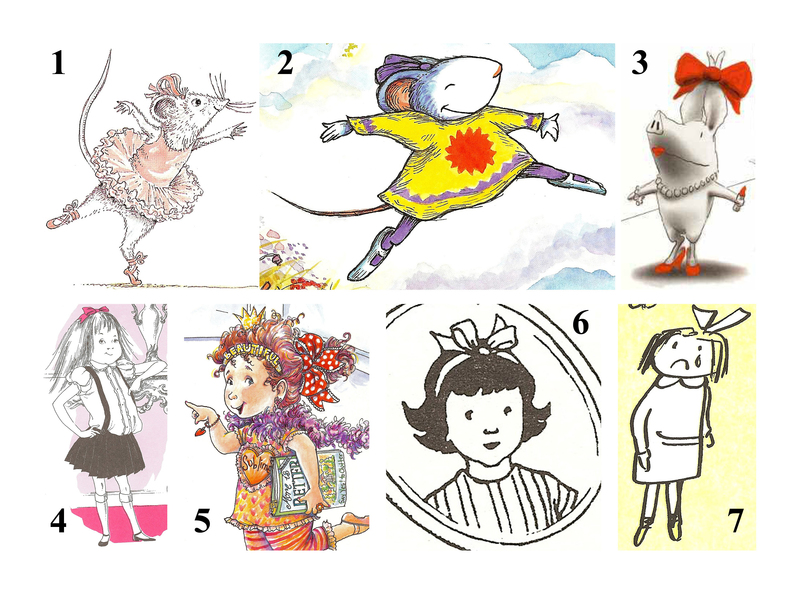 This line-up of beribboned characters represents many of the classic heroines of children’s picture books (with a picture book newbie and a British import thrown in). I hear baby boys are wonderful; I’ve met several that are irresistible; but as one of four sisters, I was set on having my own gaggle of girls. If I hadn’t been lying on a table during my 20-week ultrasound, I would have done a victory dance when the technician told me I was expecting a girl that first time around. Now that our house holds three little girls, our collection of the great “girl” books has grown exponentially from that first edition of “Angelina.” While I’m a firm believer that all books can be, and should be, enjoyed equally by both genders, there is a collection of books I believe no little girl’s library should be without. Each has become a beloved classic, having proven its unique value through the test of time. 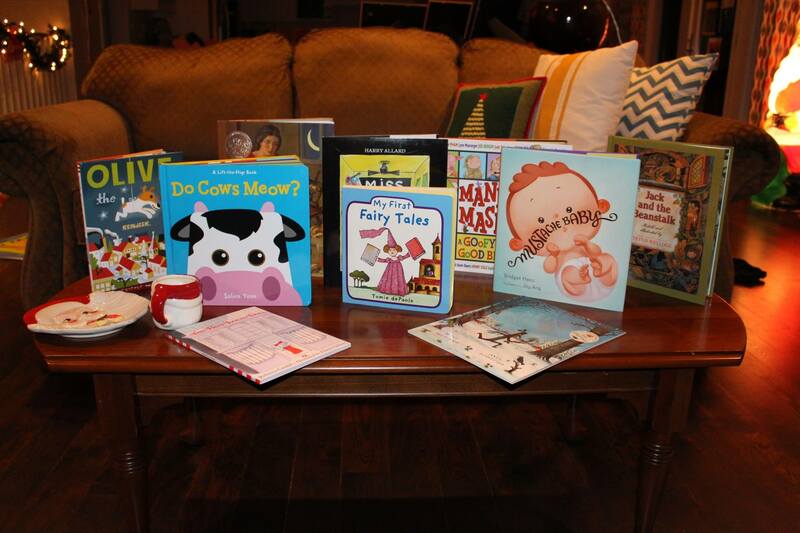 These are the books I gifted as a right of passage for my friend as she prepares to become the mother of a daughter. 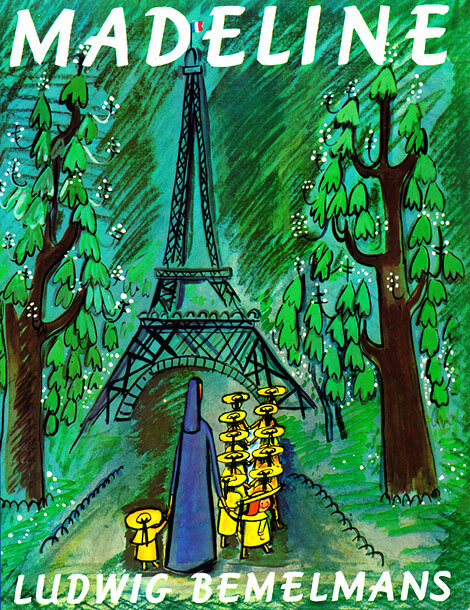 There are few children’s book characters more recognizable or more enduring than Bemelman’s Madeline. Brought to life 75 years ago, she is still the shining example of fearlessness: “She was not afraid of mice — She loved winter, snow, and ice. To the tiger in the zoo, Madeline just said, ‘Pooh-pooh.’” Not even an emergency appendectomy can shake this small girl’s bravery. Children are fascinated by Madeline’s daring and entertained by Bemelman’s irresistible rhyming text. “Chrysanthemum” is the perfect book for the current generation of children whose parents, like Chrysanthemum’s, are set on finding unique and “absolutely perfect” names. Chrysanthemum, much to her parents’ delight, loves her carefully selected name and has a healthy self-image….until she starts school. Poor Chrysanthemum is crushed when the “mean girls” make fun of her long, flowery name. And Chrysanthemum’s poor parents are devastated when their darling daughter returns home heartbroken after her first day of school. Despite their efforts to boost her spirits with favorite meals, board games and parenting books, Chrysanthemum’s plight worsens at school…until everyone’s favorite teacher affirms just how perfect Chrysanthemum’s name is. 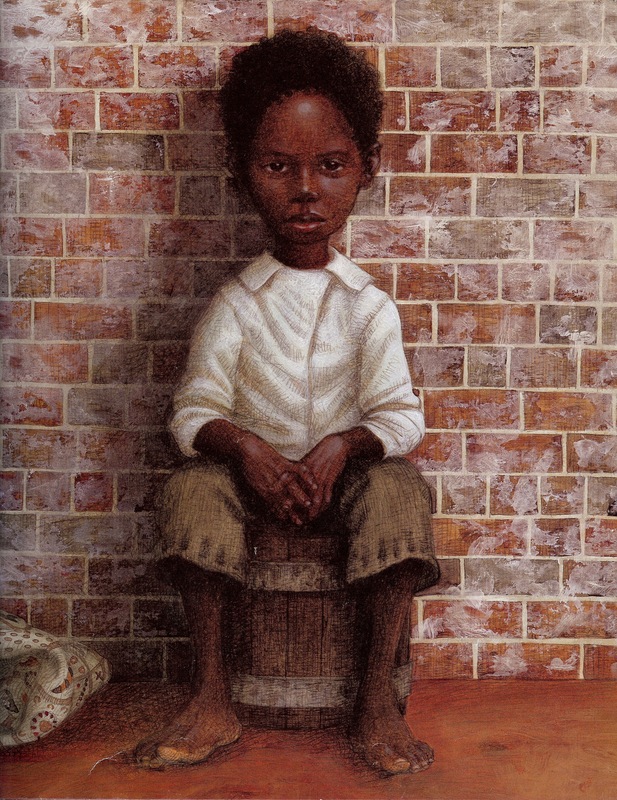 Henkes writes children’s struggles, happinesses and thought processes better than any author I know, and his illustrations are just as exceptional. 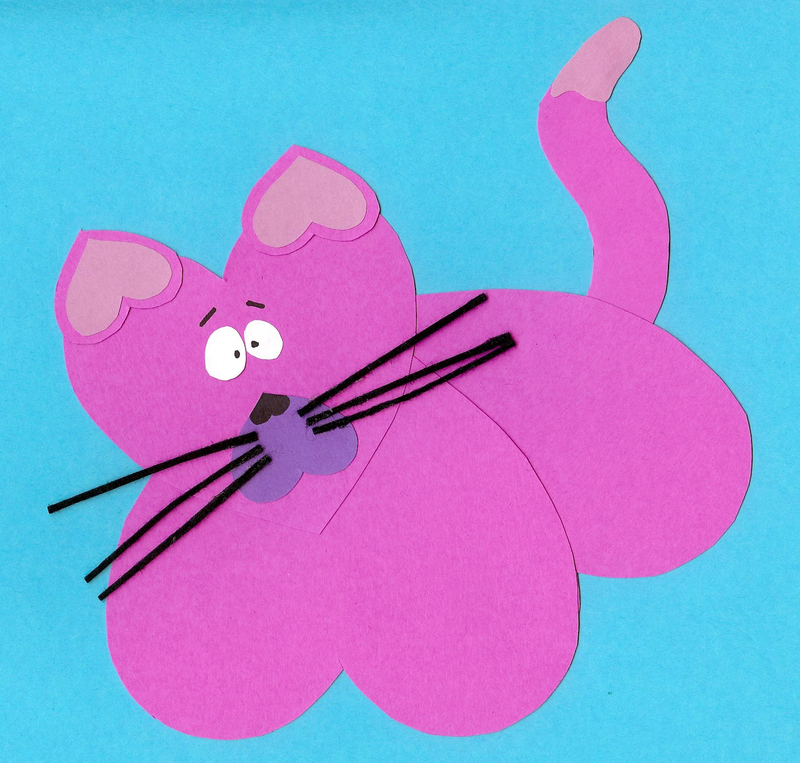 Which is why I also count “Lilly’s Purple Plastic Purse” as another great classic. Lilly is a mouse with immense enthusiasm for school and for her teacher. But when her enthusiasm for her new purple plastic purse, movie star sunglasses and three shiny quarters become a nuisance at school, she’s reprimanded by her beloved teacher and her once positive feelings quickly swing toward the other end of the spectrum. 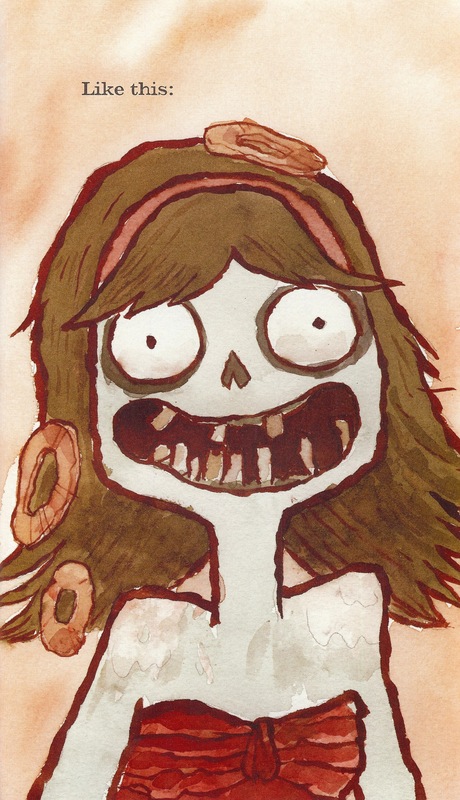 In her rage, Lilly draws an offensive picture of her teacher, which she comes to regret when her emotions cool off. In the end, amends are made and Lilly gets a chance to show off her new acquisitions at an appropriate time. It’s a great book for children with big personalities and big emotions. 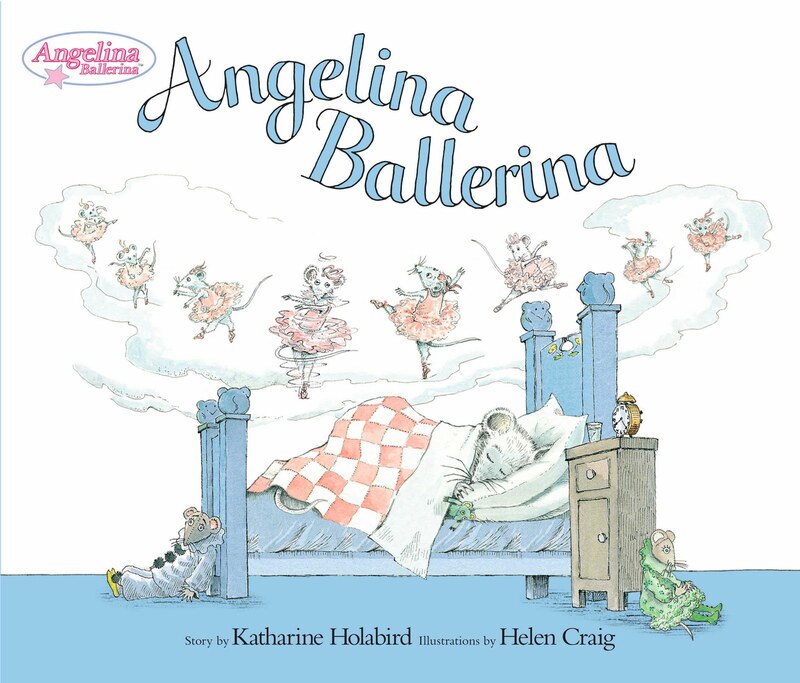 The author was the second eldest of four sisters who grew up and had two daughters of her own, so its no wonder she imagined a book that’s held such appeal for tutu-obsessed readers for three decades. “Angelina” is much more than a book about ballet, however. It’s a book about a child (a mouse child) that has a dream of becoming something great. What makes Angelina admirable is the discipline and focus with which she chases that dream in order to earn her “happily ever after.” And nothing beats Craig’s delightful illustrations; so many of her images remained clear in my memory despite the decades that lapsed between my childhood readings and the book’s reintroduction when I became a parent. 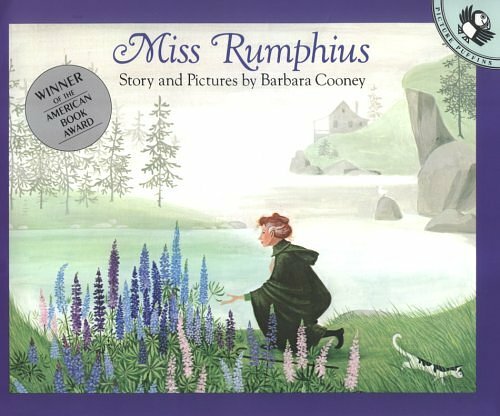 Though not bow adorned, I will argue that Cooney’s “Miss Rumphius” is THE most inspiring of female picture book characters. 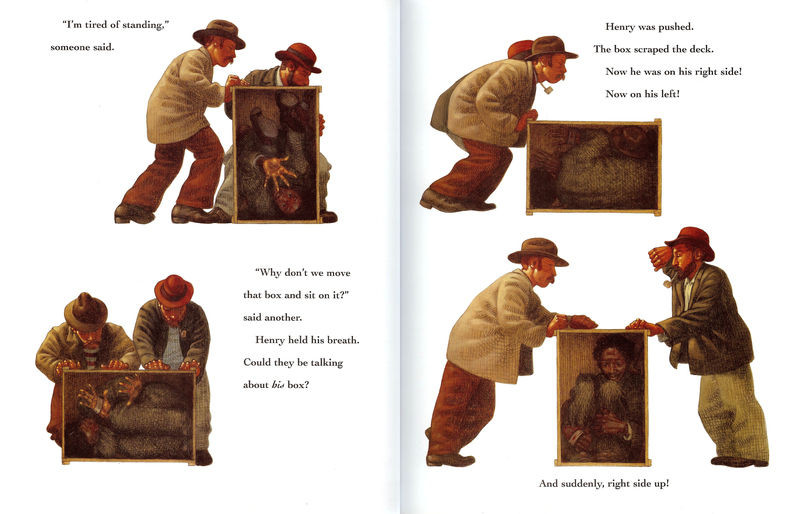 The book, published in the year of my birth, long ago earned its spot as my all-time favorite children’s book, in large part because of the breathtaking beauty of the rich and detailed images with which Cooney illustrated this story. Equally moving is the protagonist, Miss Alice Rumphius, the little girl who grows up painting with her grandfather in his cigar shop by the harbor. She admires the exotic images her grandfather paints from the memories of his travels, and she vows that she, too, will travel to faraway places before returning to live by the sea. However, little Alice’s grandfather tells her there is a third, more difficult thing she must do in her life: find a way to make the world more beautiful. As we turn the pages, we watch Alice grow into a young woman who does, indeed, travel to faraway places – mountains, deserts and lush islands. In her later years, she makes her home in a cottage by the sea and at last discovers how to accomplish the third task of her life. Miss Rumphius spends a spring and summer traversing nearly every inch of her seaside village, scattering lupine seeds in her wake and earning her strange looks from passerbys. But when the landscape explodes with the “blue and purple and rose-colored lupines” the next spring, she is lauded as the Lupine Lady, inspiring the generations that follow to seek their own ways of making the world more beautiful. 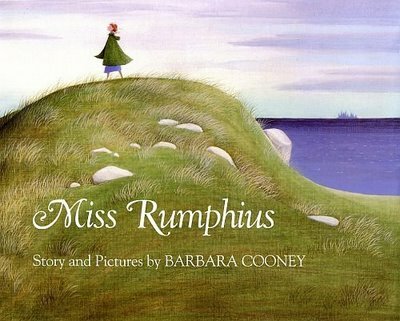 Miss Rumphius serves as a sterling role model of a person (regardless of gender) whose life is defined by neither love nor career but by the rich and varied adventures of her life. Her achievement of that “third, most difficult task” is a goal to which all people should aspire – to leave this world better than we found it. 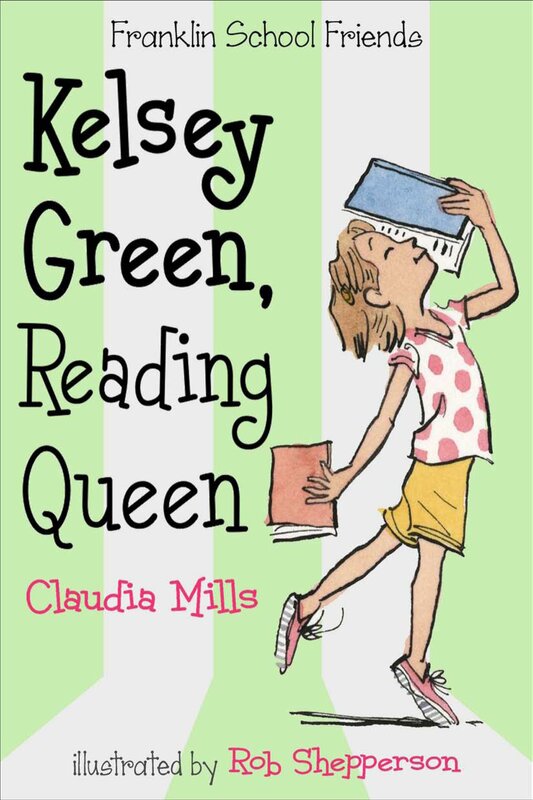 “Olivia” is the most recent of the “classics” but well-deserving of her place on my girls’ must-have list. 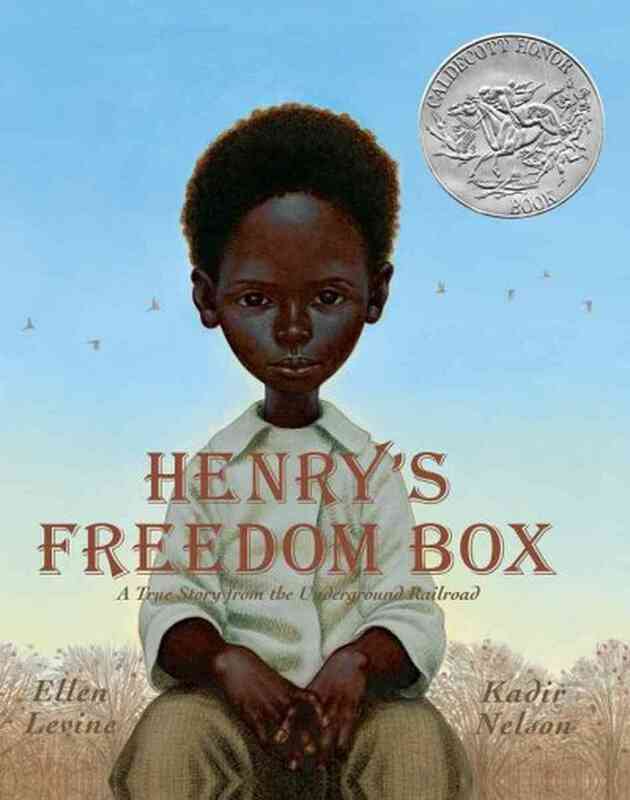 After the book’s debut in 2000, Falconer earned a Caldecott and praise putting him up there with the children’s book greats, including comparisons to the aforementioned “Eloise” illustrator, Hilary Knight. 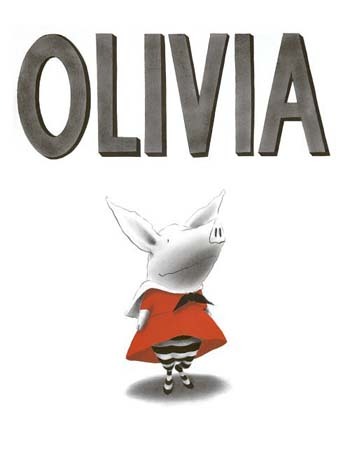 The story is simply an introduction to the book’s namesake, Olivia: what she likes, what her talents and interests are, who her family is, what her days are like. What makes Olivia special is her own fabulous opinion of herself, her seemingly endless energy, her unique style and her joie de vivre. Children would want Olivia as a friend, and adults will identify with the exasperating aspects of parenting such an independent and energetic kid/pig: when OIivia gets dressed, “she has to try on everything;” when it’s naptime, “Olivia’s not at all sleepy;” after seeing the Degas exhibit, Olivia decides to try her hand at the artist’s technique on the walls at home; and every night involves tough negotiations as to the duration of the evening’s story time. Flaconer’s illustrations are stunning and his writing is brilliantly humorous. He’s created a nearly flawless series of “Olivia” sequels and I can’t wait to see what he creates next. “Fancy Nancy,” “Pinkalicious,” and “The Very Fairy Princess” are several other storybook girls who have arrived on the scene more recently and who offer a bit more frill. They’ve proven immensely popular with today’s little girls, but I would suggest that, like a red wine, they may need a little time to age before we determine if they have the legs to last. Who else would you add to the list of great picture book girls? February has just barely arrived, but our Valentines were done a week ago, the girls’ Valentine’s Day candy and gifts have been purchased and my husband and I actually have a date night planned during the same week in which Valentine’s Day falls. Procrastination runs thick in my blood (I intended to post this yesterday), and I’m always leaving these things to the last minute, especially when it comes to Valentine’s Day, a holiday for which I have exactly one decoration and to which I give little thought. Of course, my life is a little like a Looney Toons cartoon; I’m the animated character trying to block the water leaking from a dam – I get a few holes plugged but that only makes the water come out faster somewhere else; eventually, the whole dam will bust apart. Let’s just say you don’t want to look in my laundry room (or anybody’s closets, for that matter). 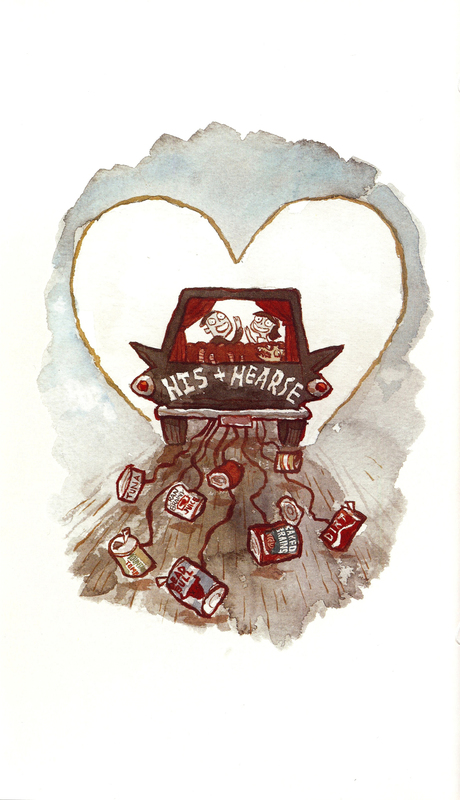 So, to further put off the washing, I’ll share my thoughts on Valentine’s Day books. I’ll start by saying I generally detest holiday themed books. Christmas books are the exception because their “shelf life” is longer. You can pull them out at Thanksgiving and they last until the last remnants of Christmas are cleared away, sometimes well into January if you’re anything like me. But Valentine’s Day, Easter and Halloween books only seem appropriate for a couple of weeks in their respective months. “Where is Baby’s Valentine” just isn’t fun to read in August. 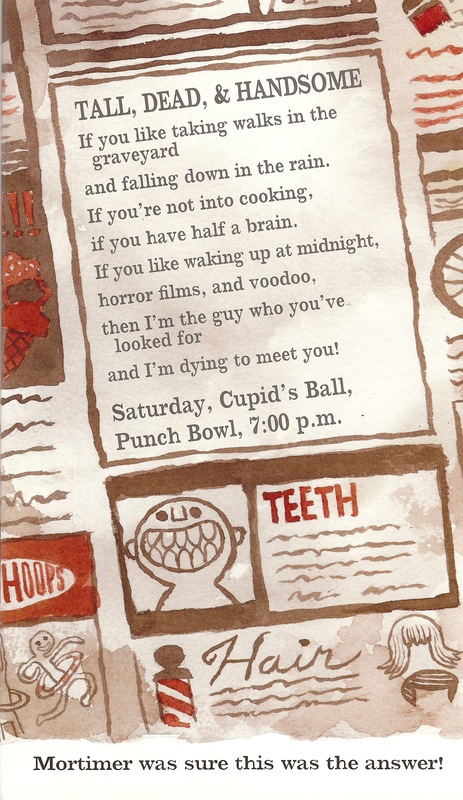 Which is why my very favorite “Valentine’s Day” books are those that don’t directly reference the holiday at all. 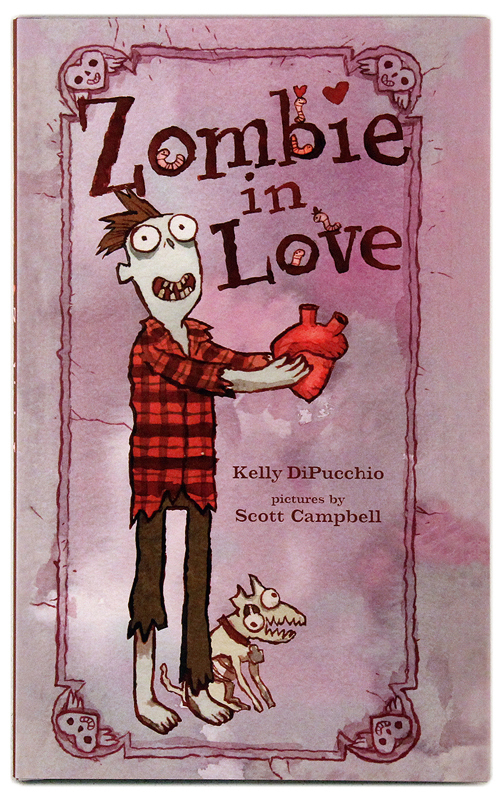 Rather, they take the holiday’s themes of hearts, affection and love and create books that can be read all year long. 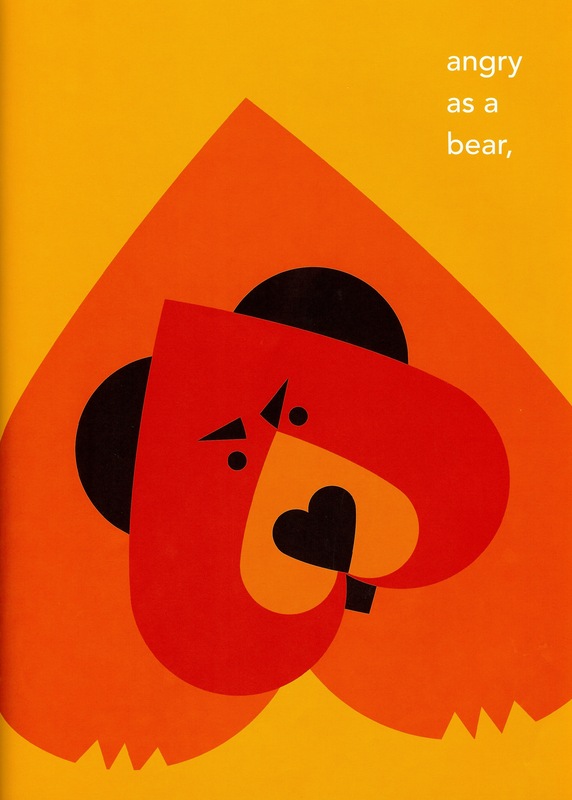 OR is it “angry as a bear”? But that will have to wait until March. 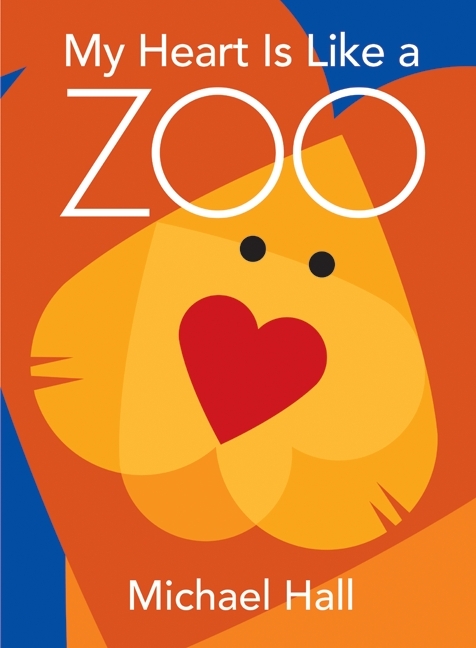 Hall’s vibrant colors and imaginative use of hearts earn him comparisons to Lois Ehlert and make this book visually fascinating for children and adults. Everyone has a favorite animal: Eloise loves the seal, Charlotte fancies the blue jay and I favor the elegant heron. 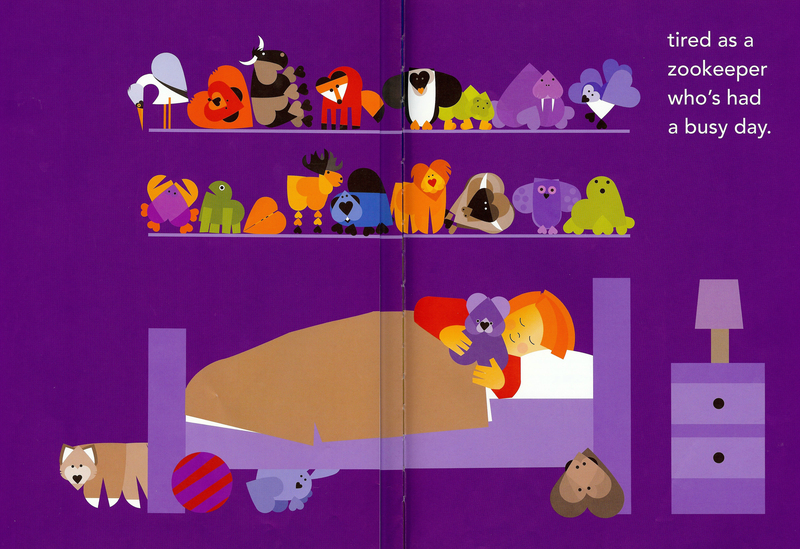 I also enjoy the book’s closing pages, depicting the tired “zookeeper” tucked into bed and overlooked by his animal friends. As a child, I had a similar habit of lining up all my stuffed animals, and the image brings back fond memories. The back cover of the book offers a brief tutorial on Hall’s construction methods. This teacher‘s students used Hall’s book as the inspiration for their amazing arctic landscape. 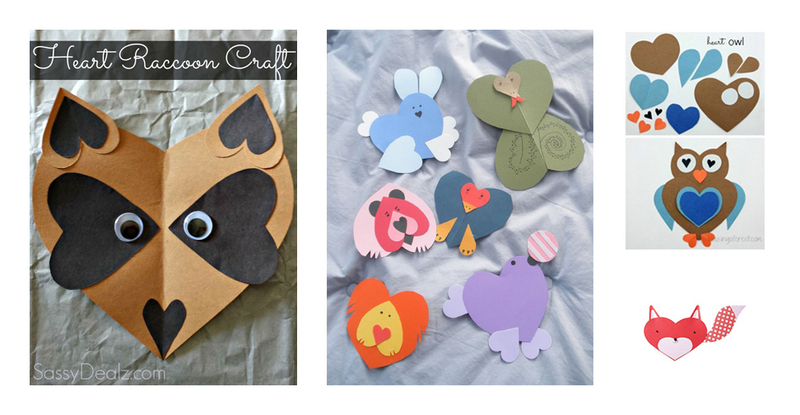 Not only can Hall’s artwork inspire your Valentine’s crafting, but his images also offer a great lesson on shapes (the subject addressed last week at Charlotte’s preschool). 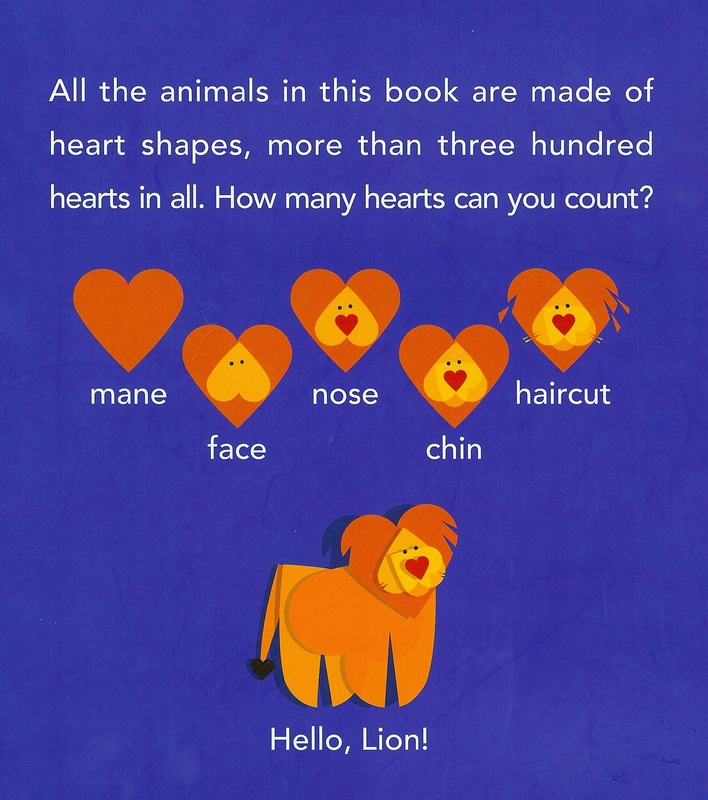 Can your child identify and count all of the hearts used to make each animal? Have them trace the individual hearts with their fingers. 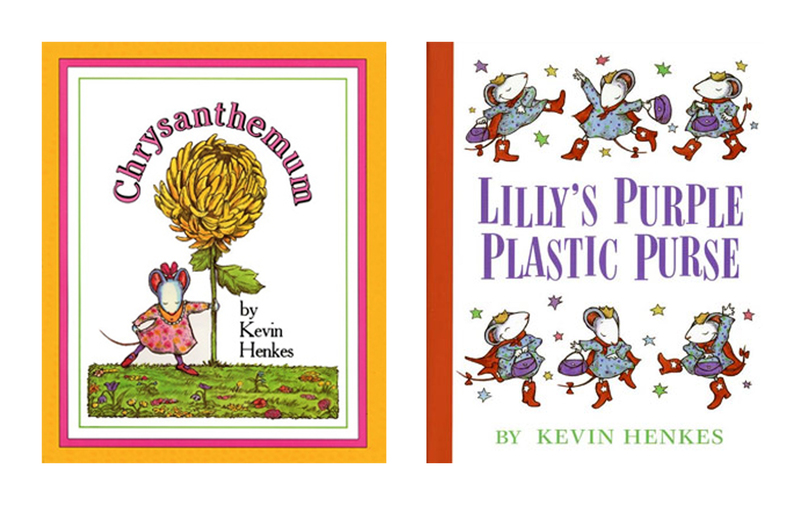 All three of my girls will be getting books alongside their candy for Valentine’s this year. (I take advantage of any excuse to gift them new reading material: Easter, Halloween, first and last days of school, and I may go a little overboard at Christmas — see photographic evidence at right). At the moment, both of the older girls are hooked on fairy books. Eloise is ready for Book 4 in the Never Girls series, and Charlotte and I will be reading “Rosy and the Secret Friend” from the Fairy Bell Sisters series. 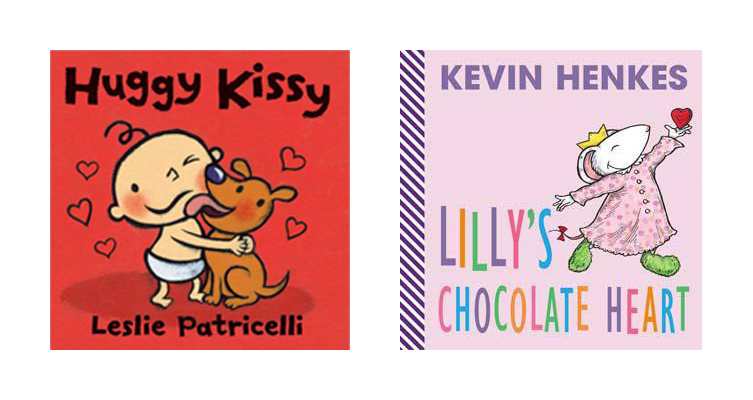 Since Flora’s reading tastes have yet to be verbalized, I’m excited to give her Leslie Patricelli’s “Huggy Kissy,” another example of a book that’s great all year round. 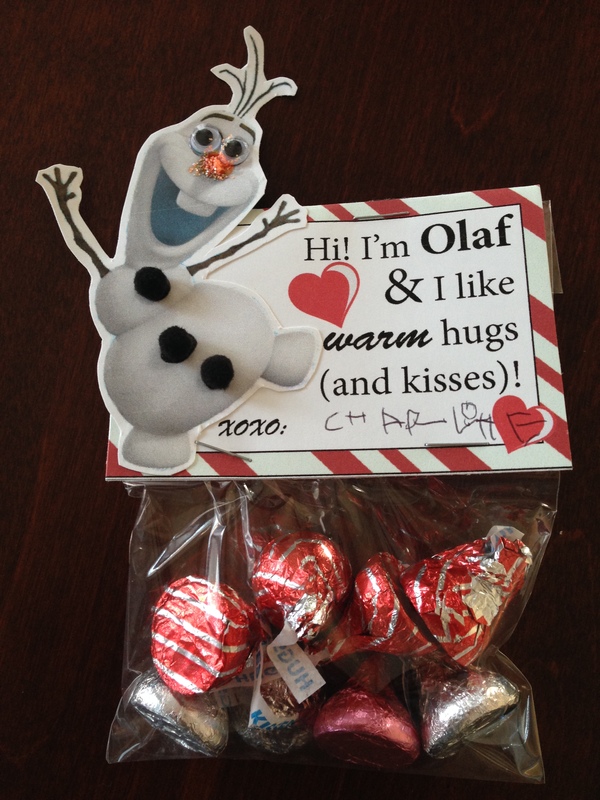 I’m also giving her a copy of “Lily’s Chocolate Heart,” putting aside my distaste for Valentine’s-themed books. Henkes is ALWAYS worth it, and I love how he’s captured a common habit children have of hoarding their holiday candy. Some people have shoe habits, others purses. For me, it’s children’s books. I own enough picture books to constitute a small (ok, good-sized) library. In fact, as my 4 ½ and nearly-6 year olds’ interests have transitioned to chapter books, I’ve begun to worry that I’ll no longer be able to justify my excessive purchases of picture books. Enter Flora, the crutch for my addiction. 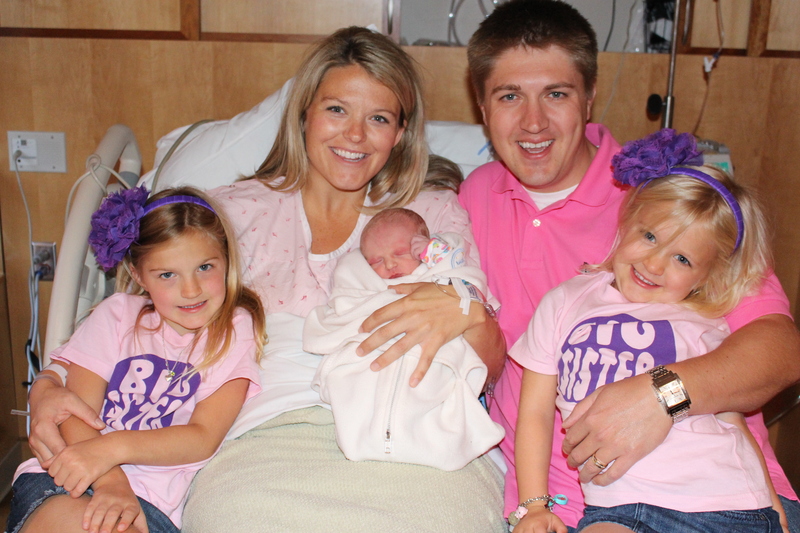 Flora arrived on September 13, 2013, our third daughter and (shhh….don’t tell the older girls) our best baby by far. 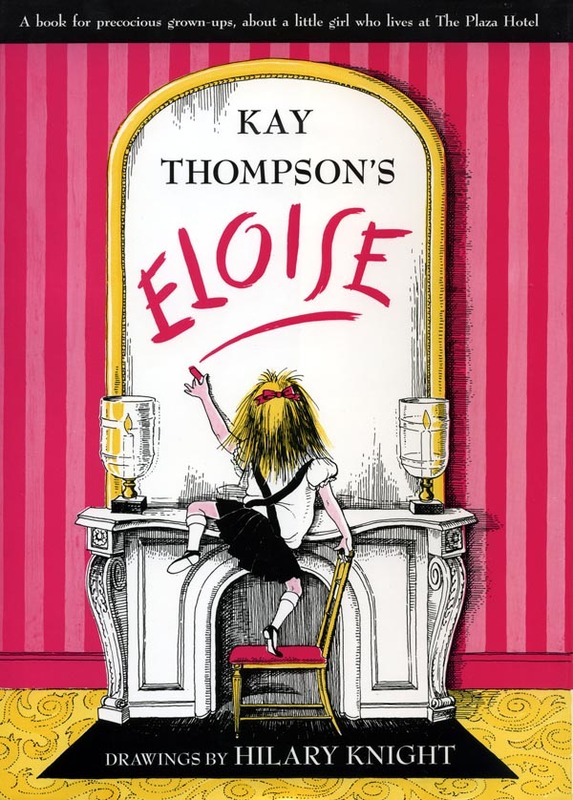 Flora’s older sisters’ names were inspired by my love of children’s literature: Eloise Olivia, for the infamous resident of the Plaza Hotel and for Ian Falconer’s spunky pig (in 2008, Olivia’s purity had not yet been tainted by Nickelodeon’s branding); and Charlotte Faye, named for Wilbur’s wise friend, the wordsmith spider Charlotte A. Cavatica (and this selection was prior to the recent, horrific Charlotte name boom). Flora’s literary reference initially came in the form of her middle name: Alice. She was given this name both in honor of my late grandmother, Alice Burke, as well as my most beloved children’s book character, a great role-model for little girls, Miss Alice Rumphius. 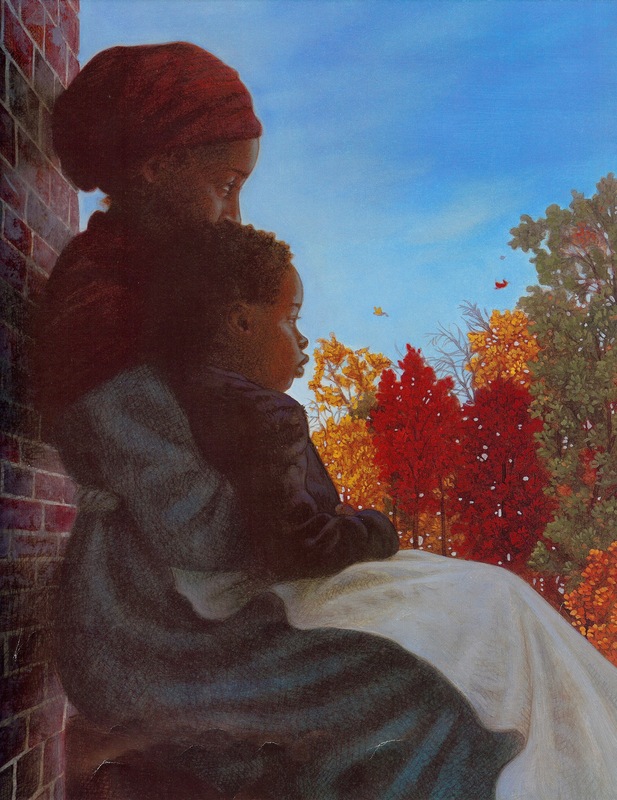 Barbara Cooney’s illustrations are works of art, and her missive to little girls is admirable: travel to far away places, spend time by the sea and make the world a better place (things we should ALL hope to accomplish in our lifetimes). 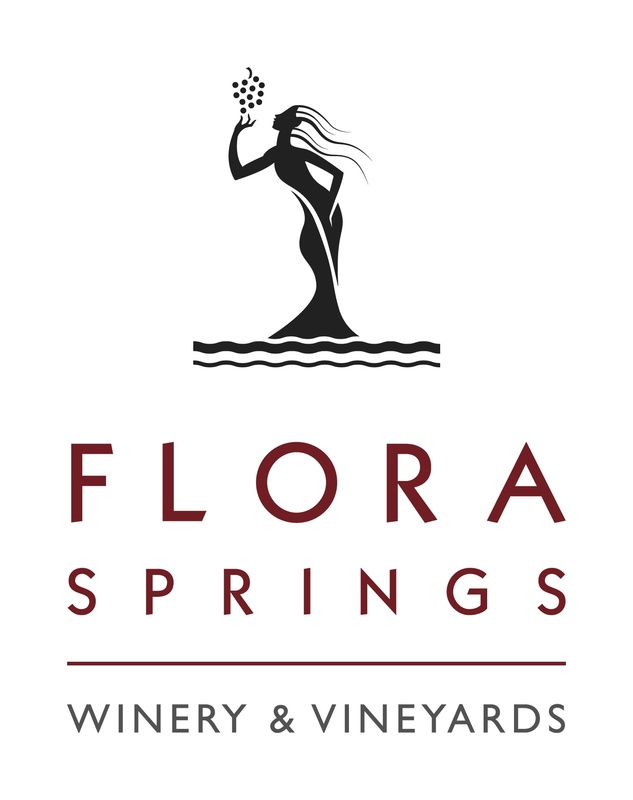 Flora’s first name, on the other hand, was inspired by our favorite wine: Trilogy, a blend of three red grape varietals made by the vineyard Flora Springs. Flora Komes and her husband, Jerry, established the vineyard in the ’70s, and the wine has carried the matriarch’s name ever since. Especially fascinating is how perfectly Komes lived up to her name. With its roots in Roman mythology, Flora was the goddess of flowers and springtime who enjoyed eternal youth. Komes helped raise a “ghost vineyard” from its ashes and died just shy of her 101st birthday in 2012. I could hope for nothing better than a long and happy life for my own Flora, and her birth also represented the completion of our “trilogy” of girls. But in the year of our Flora’s birth, two outstanding “Flora” books were published, and each took the field of children’s literature by storm. 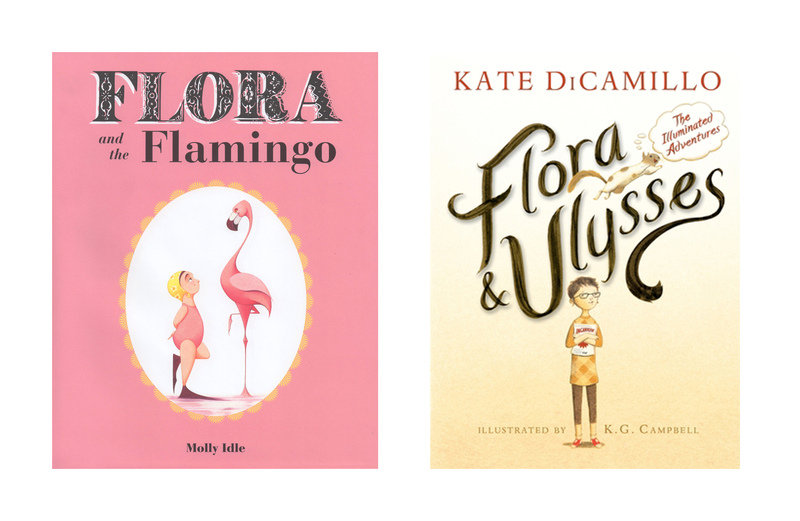 This week, the American Library Association named Molly Idle’s “Flora and the Flamingo” as one of three Caldecott Honor Books. 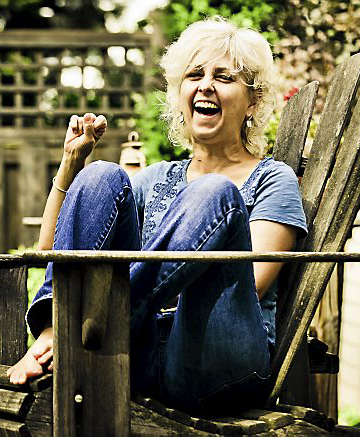 Meanwhile, Kate DiCamillo’s “Flora & Ulysses: The Illuminated Adventures” was bestowed the coveted Newbery Medal. 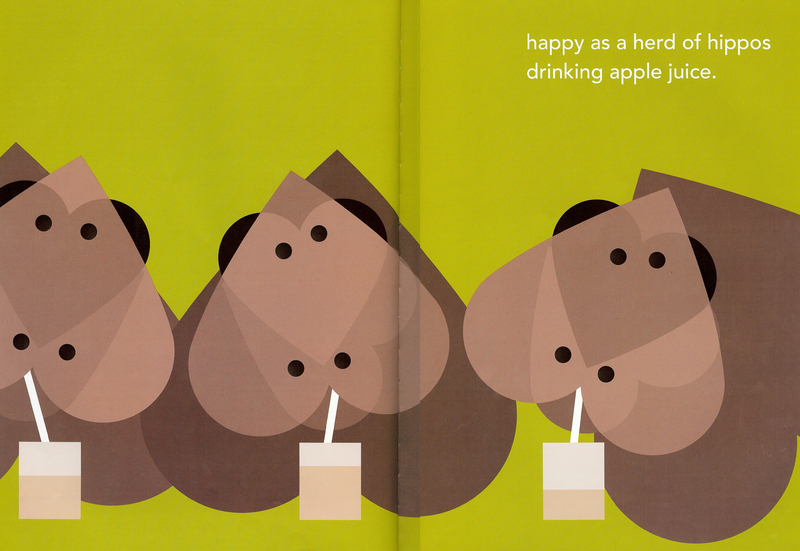 As The Horn Book pointed out, Flora is the new darling of children’s books. The flamingo patiently teaches its pupil to dance and soon the friends are dancing an elegant pas de deux that ends in a not-so-elegant but child-pleasing cannon ball. Idle’s attractive, mostly-pink palette is eye catching. I adore the font used for Flora’s name in the title. I enjoy the attitude and expression she’s captured in both the flamingo and Flora. I’m impressed with the simple but effective way in which the lifted flaps allow the narrative to progress. 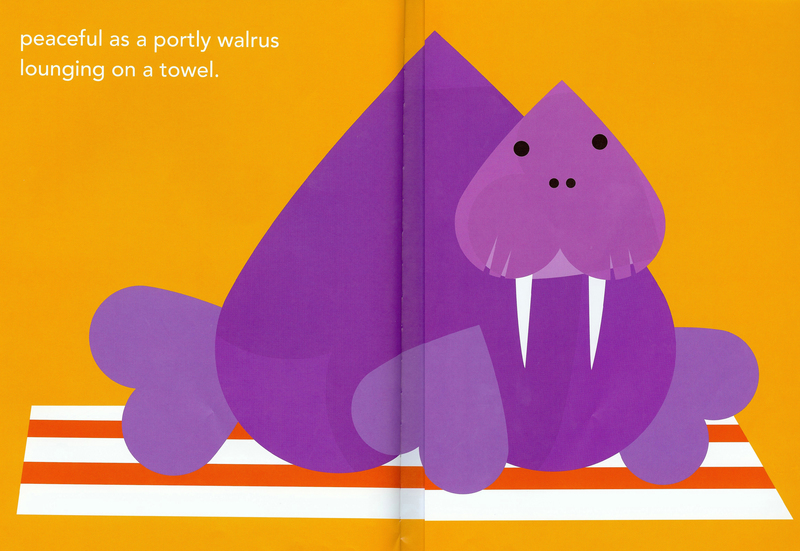 That said, I’m not generally a fan of wordless books. I’m a bit too much of a control freak to feel comfortable with this open-ended storytelling format. I suppose these books give me a form of stage fright, leaving me paralyzed as to how to address each page. But my daughters’ fascination with “Flora and the Flamingo” has shown me how inviting the wordless format is to young children, especially the pre-reader. Charlotte, my middle daughter, is particularly fond of “Flora and the Flamingo.” Like most middle children, she lives in the shadow of her older sibling, Eloise. With just 15 ½ months between them, Charlotte seems to believe she should be able to do everything Eloise can and, thus, found it discouraging when Eloise learned to read in kindergarten this year while she was left behind. I think wordless books, as well early readers composed in the graphic-novel style, are attractive to Charlotte because she’s able to “read” the book without the intimidation of traditional text she finds indecipherable. All of DiCamillo’s gems are new discoveries for me. Our family is just entering this amazing stage of early chapter books and young adult fiction. Sure, I have my favorites from my own childhood; I recently dug out a box containing “The Egypt Game,” “Bridge to Terabithia” and “Ballet Shoes,” among others. 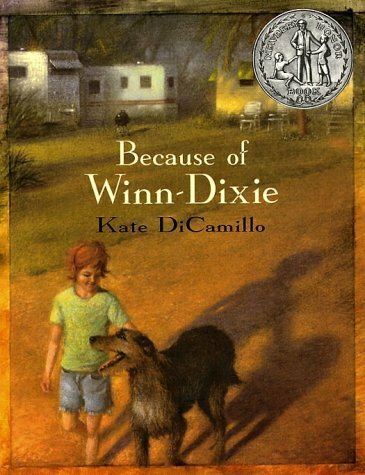 But DiCamillo came on the scene with “Because of Winn-Dixie” in 2000, just before I graduated high school. Eloise and I read that breakout novel together in the weeks after Christmas. Normally, I have a general rule against dog books. Despite my friends’ enthusiastic recommendations, I’ve never touched “The Art of Racing in the Rain,” and you can bet I’ve never cracked open “Marley and Me.” I already know firsthand the real-life, heartbreaking loss of a dog’s love and companionship; I don’t need fiction to rub it in. 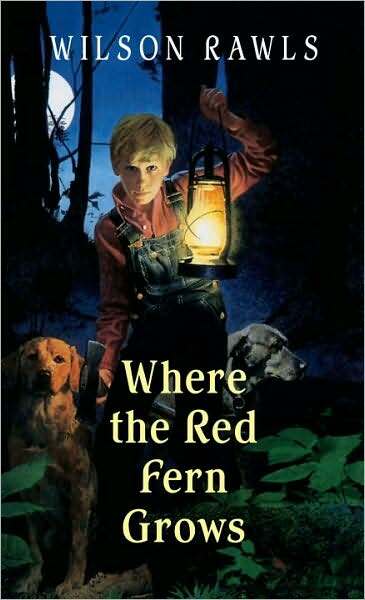 Besides, “Where the Red Fern Grows” was scarring enough. And so, I approached “Winn-Dixie” with apprehension. We’d read a few chapters every couple of days, and I began to dread what I feared was the inevitable loss of that human-of-a-dog. When we weren’t reading together, Eloise appeared to be working her way through the book on her own. I have yet to fully grasp just how much she comprehends in higher-level chapter books, but she insisted she read the book in its entirety twice. “I hope it ends well,” I told her with trepidation. 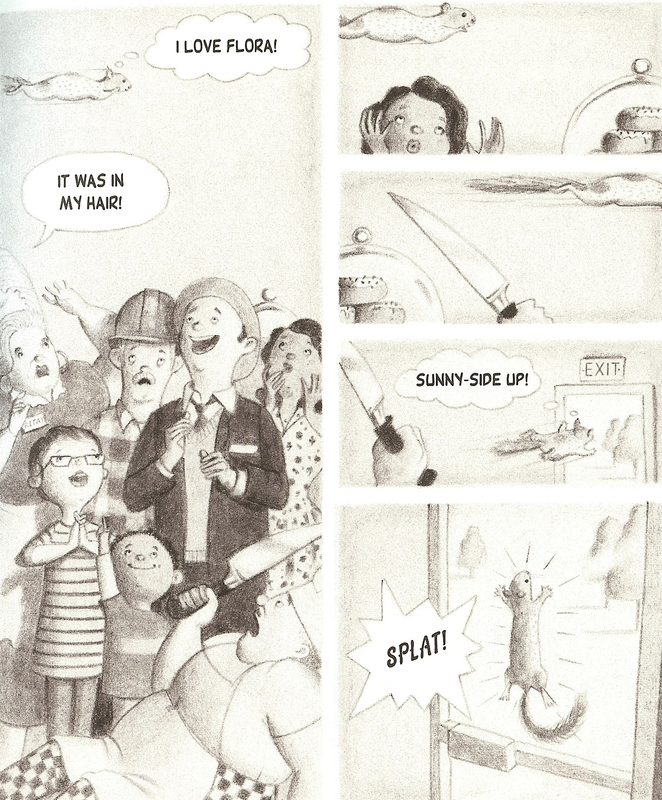 And so it was, and DiCamillo earned my highest praises. I can’t wait to delve into “The Tale of Despereaux,” for which DiCamillo earned the 2004 Newbery Medal, as well as “Tiger Rising,” “The Magician’s Elephant” and “The Miraculous Journey of Edward Tulane.” I’m certain her Bink and Gollie series will be fantastic for Charlotte’s proclivity for graphic novels, and the “Mercy Watson” series seems perfect for building confidence in early reading. 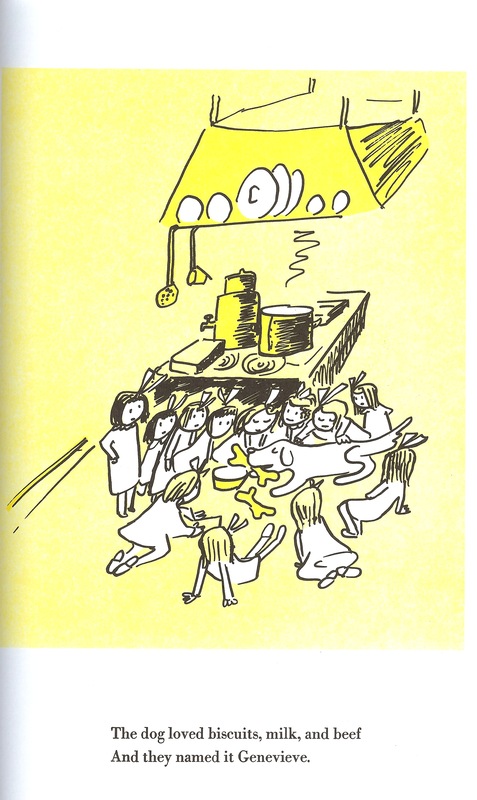 Like I said, I’m OBSESSED, somewhere on the same level as my love of Dahl. 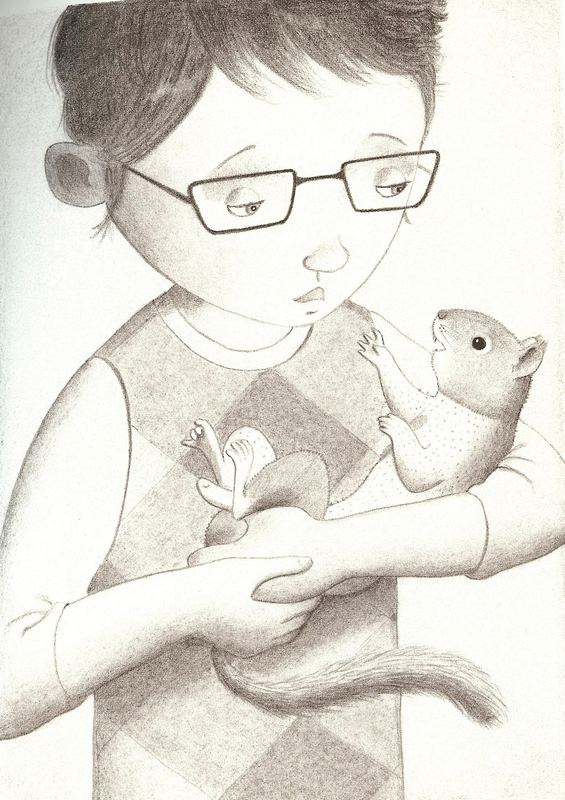 DiCamillo appears to have rolled all of her diverse talents and writing styles into one book with the publication of “Flora & Ulysses.” The novel stars 10-year-old Flora Belle Buckman, who resuscitates a squirrel who was run over by the neighbor’s super-vacuum, the Ulysses2000X. The squirrel returns to life with superpowers and a new name (Ulysses) inspired by his would-be assassin. 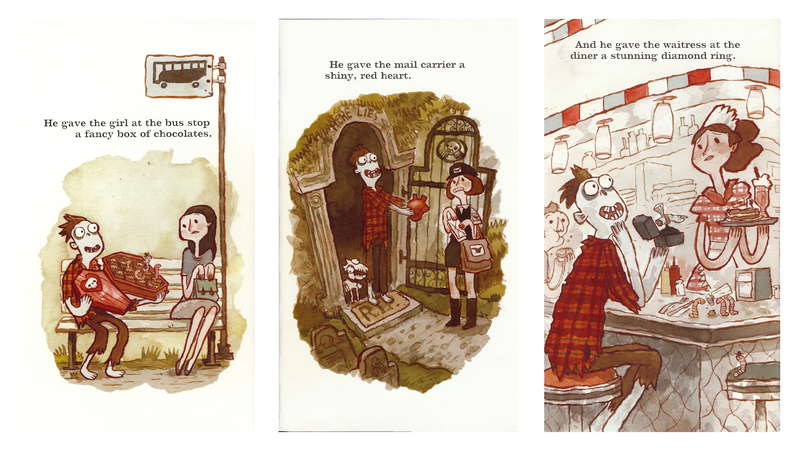 The book is the account of Flora and Ulysses’ adventures and is peppered with comic illustrations of their unfolding story (Flora is apparently a comic book fan). Reviews indicate that the novel deals with the larger life issues of loss, abandonment, acceptance of differences, loneliness, love, fears and complex relationships. We’re only a couple chapters in, but Charlotte likes to think she knows what’s going to happen because she’s peaked ahead at most of the illustrations. I’m excited to discover more about this fictional Flora, just as I can’t wait to see what my own little Flora becomes.